Coffee table. 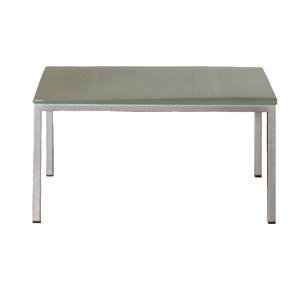 Base in matte chrome plated square tubular steel. 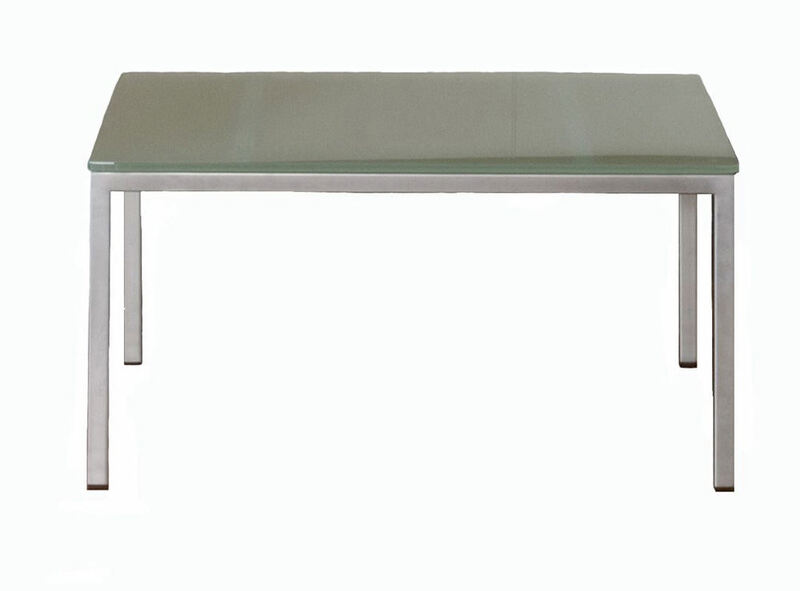 Top in tempered, toughened, acid-etched glass, natural beechwood, wenge stained beechwood, black or white laminate. 3/8" thick glass.